This limbo between time from death to funeral is extreme and emotional, it has shifted the axis of my world – so my demons come out to dance on my dreams and dine on my exposed flesh. I name and recognise these satanic creatures, and then I choose instead, to dance with the angels. You see there I was with the expectation of attention and response. Yet I know that there are many reasons why people do not reply and do not come, and how I feel about this is my own business – it is purely my own response to what I have put out there (which is after all an invitation, not a demand) and is in no way provoked by any one else. And then I know that so often I have a choice about how I can feel … so having wallowed in my fear and anger, I have now let it go. It is part of my process of processing what has happened; and now, at this time of writing, I am in a quiet space of reflection and acceptance that it will all be as it should. This newer, positive sense comes from the pure me, the one who chooses the path of light, not the tunnel. And verily, the dark demon of negativity still grabs me and tries to drag me down that tunnel; but I know, always, there is light at the end of it. And we all do what we can, with what we’ve got … I had thunderbolt moment about this when someone called me to offer her support and condolences … she is going through her own very tough times at the moment, and she recalled all the offers people give at these trying times … to be there if asked … to do anything for you – if asked; and the thing is, usually no one does ask … Well now, she said, she had decided to do SOMETHING … as much as she could manage right then, which was to offer me ‘a cuddle and cuppa’. And I was so touched and it was a wake up call for me … me, who so many times has said, ‘just let me know if you want anything’ and then leaves it at intention … because I don’t want to intrude, or I’m busy, or my own life takes over or it’s not a priority. And I have received many such treasures in this limbo time … so much love, so much support, hugs, dinners, biscuits, transport, company and conversations. And people have created time and space to be with me … So there it all is, in reality – all in balance; and yet, still – so fleetingly, I felt neglected – when really, I am getting exactly the attention that I need … And I want to say thank you to everyone who has given to me in any and every way, in these few last days. I receive what you gift, so very gratefully. So the emotional complications of my personality unfurl some more: triggered and exaggerated by sudden loss. I kick over the implications, then I cuddle them. I give breath to the evil and the enervating, then I can reconcile the consequences and realise that these leanings are my lessons. 4 July 2012 – Glasgow, Scotland. Good evening everyone and welcome to the Launch of Gill Potter’s life changing book ‘Sacred Paths Entwined’. My name is Sandra Peachey and it is my joy and privilege to introduce you to both the author and the book this evening. This evening is a beginning, in so many ways … Of many new chapters, of lives changed, of destinies realised and released. The first of many new creations, of new connections, of lives changed inexorably and for ever – starting here in this sacred space; this delicious pre-ordained bringing together of all of us, on this night of nights. So … Sacred Paths Entwined … The very thing that brings us all together – to our destiny, and soul to soul – whether the reasons be known or unknown, through kin, friendship or fate … We might say in the grand scheme of things, that all these are one and the same – when we see, know and understand the phenomena, the very formula, of Sacred Paths Entwined. Now in terms of earthly time and space, ours is a short acquaintance, yet it is one one packed with so much meaning for us … at a time of great transitions and steppings up and steppings out, in our separate and in our twinned lives. In MY working life, I am many things that you may recognise the labels of … I am Leader, coach, entrepreneur, mentor, trainer and latterly too, also walking the path of author. Yet I am so many other characteristics, skills, aptitudes and stories too; and that is the glorious complexity of all of our lives and ‘Sacred Paths Entwined’ reveals how all these should and could come together if we have the knowledge and the courage to follow our own sacred path. 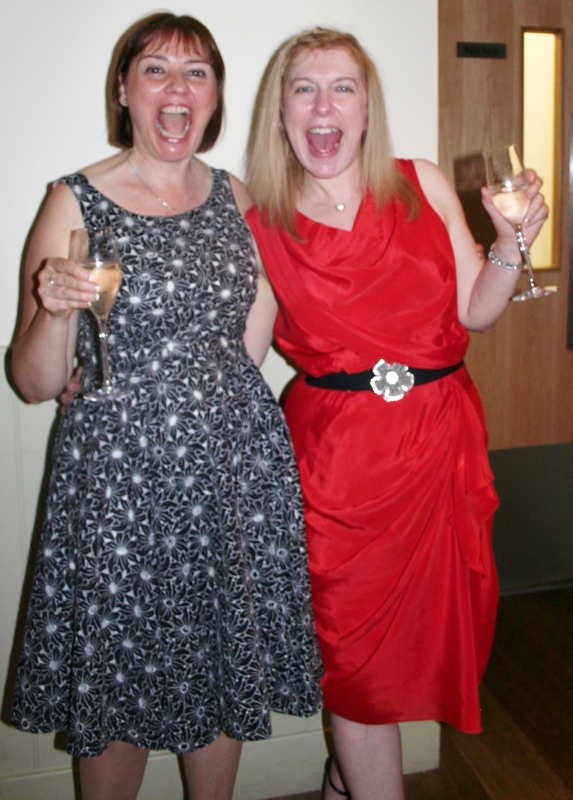 So … here we are – Gillian and Sandra … how did we 2 souls come together in earthly ways??? Although I live in the centre of England, we actually met here in Scotland, in Edinburgh in fact, around about a year and a bit ago, at a Damsels in Success event. Damsels’ is a women’s self development community which had just launched on an unsuspecting Scotland. As a leader in that community, I was there to support the launch of a new group and Gill was there to find out more … She was following a calling as it happens, and also her natural, questing curiosity; and so it was that I found myself at her elbow – whispering and laughing and coaching and gently cajoling her to come and join the special sisterhood of which I was part. And so it was that we became sister members of the Damsels in Success community. She in Scotland, and me way back down south in Sassenach land. And we didn’t meet or talk or connect again until many months later … I’m vague on all the timings and facts, whereas Gill will relate and remember them all with perfect memory and detail … Aligned as they are in the stars and in our traversing of this particular planet. So, now, moving on through time and happenstance, we had moved from being distant sister members of Damsels in Success, to becoming sister leaders, each of our own group. Gill here in Glasgow and me in Burton on Trent. So, as the first ever appointed Damsels leader, I was asked by Lucie Bradbury, Founder of Damsels in Success, to be Gill’s mentor – to support and coach her, to care for in her new leadership role. Gill told me early on that I went above and beyond the job description, yet we realised as we travelled our piece of the path together, that it has been my calling to be who I am in her life story and what I am to her and she has always rewarded me, in so many ways, for the things that I have given, even though at times it does not seem like a fair exchange, yet we know that all will be balanced on our sacred paths entwined. And it has been a truly gorgeous and ripe association … I have had the joy and the privilege of supporting her and encouraging her and answering her questions and listening to her learnings and her loathings and her lovings – walking with her on this living path, in this earthly plane of being, off and on, from where we met, to where we are now and of course, onwards into our futures. And as is the way the Universe works, it was pre-ordained for us, that mentor becomes mentored, becomes gifted with the talents of her loving charge and becomes friend. Sacred Paths Entwined. Gill came into my orbit, has spent time in my home and in my heart, as a sister spirit. Now Gill is a friend to me, a guide to me, an inspiration to me and so so many other things … And she has given me one of her greatest gifts – to cast my own Sacred Contract with her. And that was pre-ordained too, because quite simply, when she presented me with this opportunity, I resisted for a while, as it was time to walk my own path then and to ride some bumpy beasts on the back of life. And when the time was right, as I kept stepping along my own sacred path, suddenly it was clear to me that the time was right and we came together, to reveal and then to activate my own Sacred Contract: my divinely pre-ordained purpose, to be shown to and shared with the world. Elucidating my qualities and my character, understanding my traits and my trials. Shining the light on my own shining being and opening my self out to be my purpose, to live the dreams I was born with and nurtured for and so secretly harboured, as they were part of my soul, my life, my very love. Sacred Paths Entwined. And Damsels in Success was the vehicle that bought us together and was the catalyst for so many things and still so it was that other things were in the Universal store for Gill and she passed the leadership of her gorgeous Glasgow group to me, as it became so blindingly clear that her own shining purpose was finding yet another alchemical way of becoming breath, of becoming book: Sacred Paths Entwined. This book wherein lies the golden threads of her life, her purpose, her god given gifts, her life’s learnings: all bound together, all encapsulated to share, to bare, to teach, to inspire. Sacred Paths Entwined. This book fascinates and touches on so many levels … Gill shares her story, her history. She takes us on the voyage of her life and at times there is terror and there is pain; and then too … there is poetry, there is redemption, there is healing; there is learning and knowing and growing into her sacred self. Sacred Paths Entwined. Then there is teaching, there is wisdom: with this book, our minds and our hearts expand, as our soul takes flight. This volume gives us a sacred structure, to guide us to walk, run or take what ever means belongs to us, as pure individuals, to see, to take and to follow our very own sacred path. With this book share the story, see who YOU are in the stars; learn yourself, know how to cast your contract and live your joyful purpose. It is all here in these pages, in Gill’s Magnum Opus – which is, quite literally, and in every way, her true life’s work! And so it is my turn now to step out of the spotlight and to say: Ladies and gentlemen, it is my privilege, honour and absolute joy, to introduce you to: Archetypal Consultant, Astrologer AND Author of Sacred Paths Entwined: Gill Potter!! !